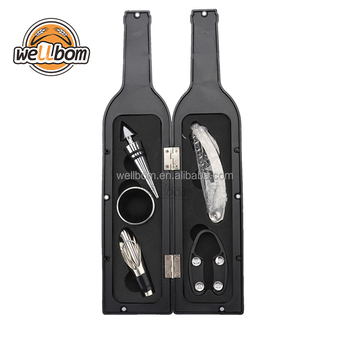 Shaped like a wine bottle, the Wine Accessory Set opens and shuts into place with its magnetic locking mechanism. Stands vertically like a wine bottle or stores away into any wine rack. A fun and innovative to store and reveal your wine essentials. 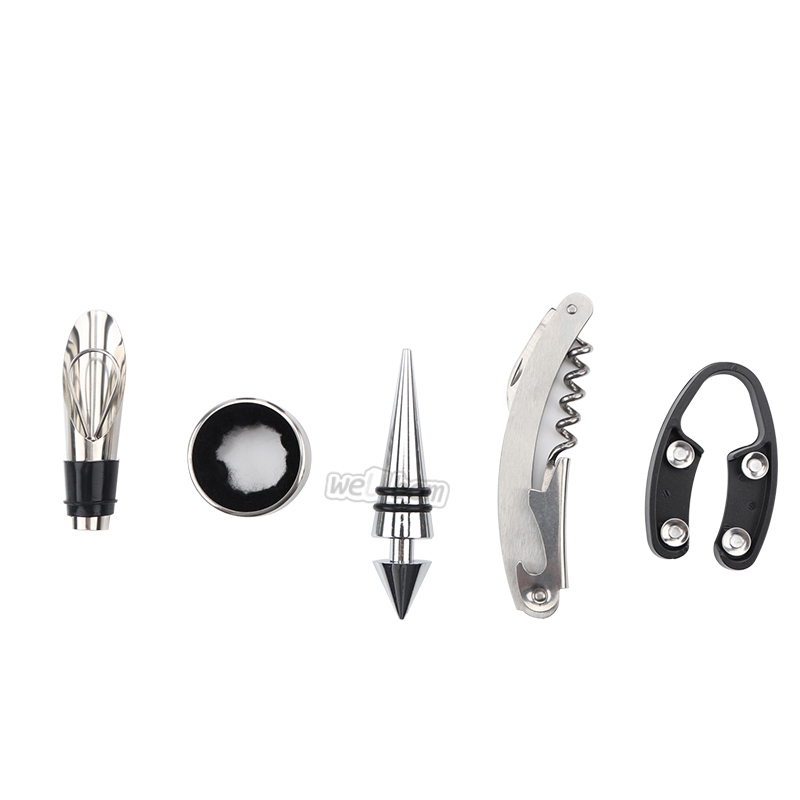 A perfect gift for any wine aficionado, the Wine Accessory Set makes opening a wine bottle easy, exciting and entertaining.